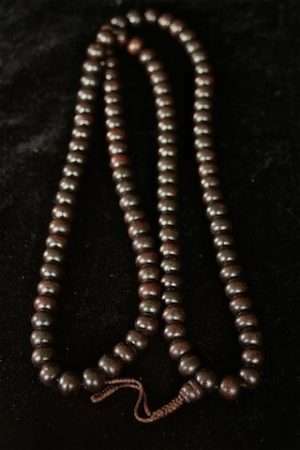 Many malas available in semi precious stones, wood and bone. 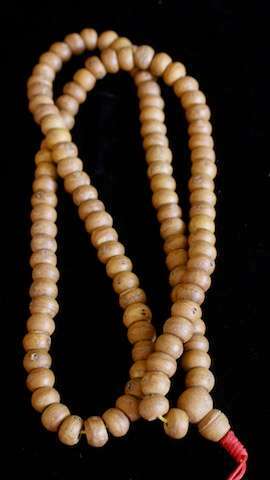 Malas or prayer beads are used in Buddhist practice and Buddhist meditation to count mantras. 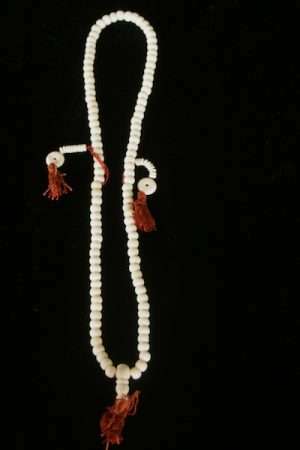 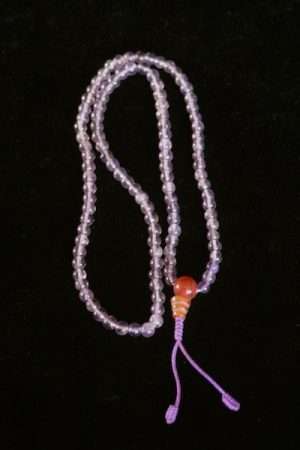 With malas one recites the mantra and visualises or looks upon the chosen deity e.g. 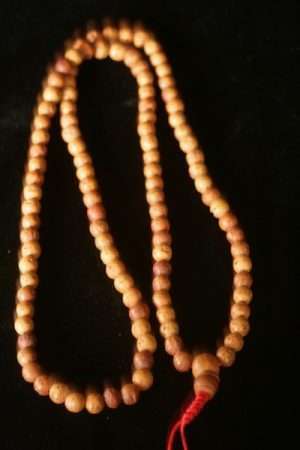 Tara, and at the same time turn the mala beads. 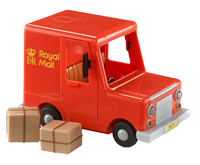 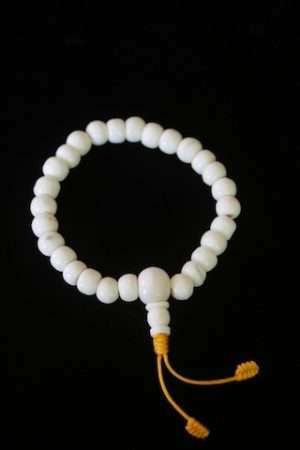 Thus – involving body, speech and mind. 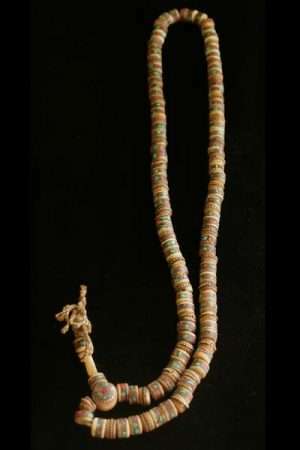 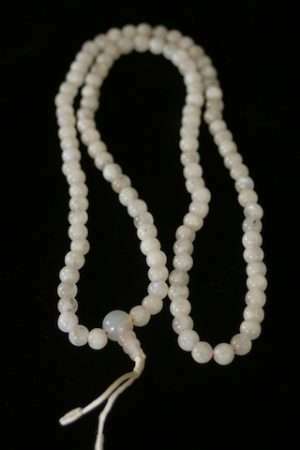 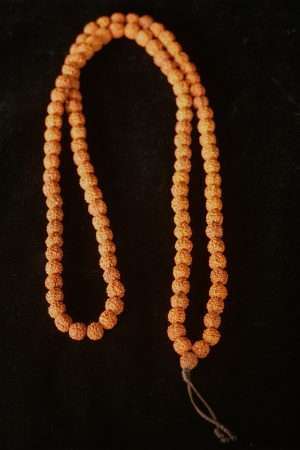 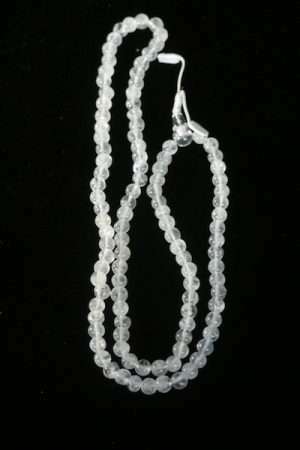 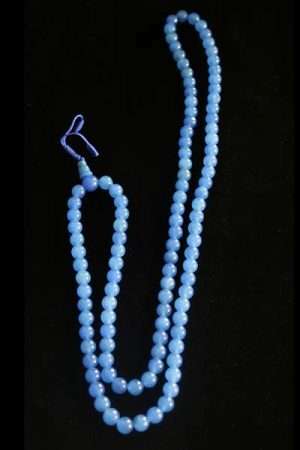 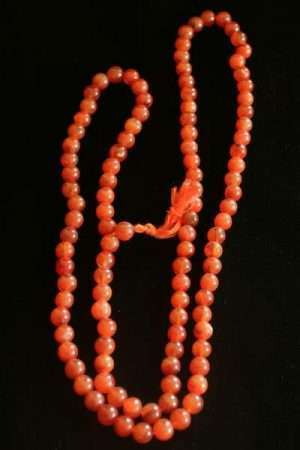 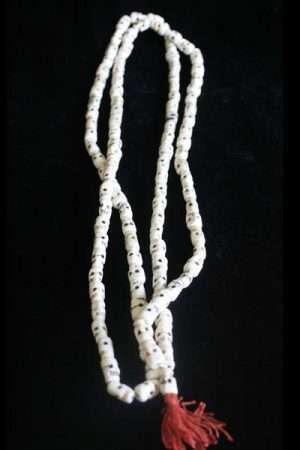 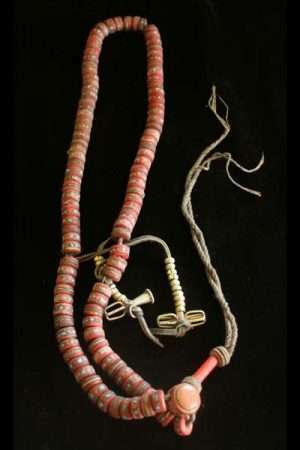 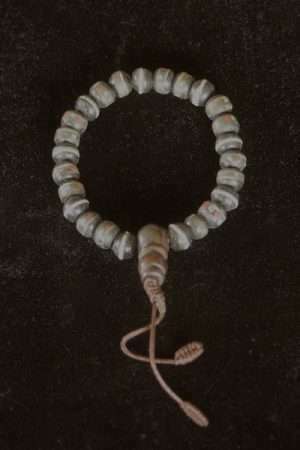 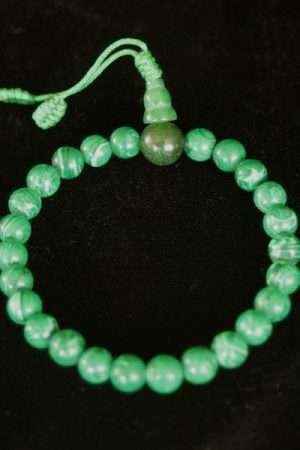 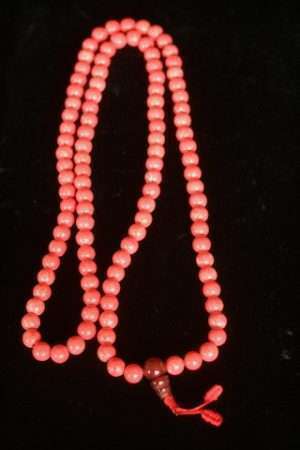 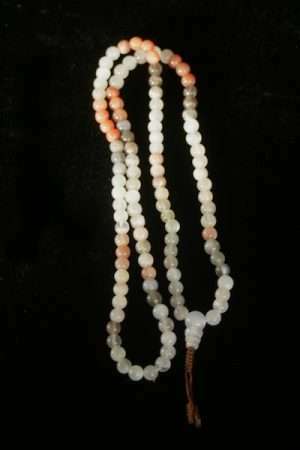 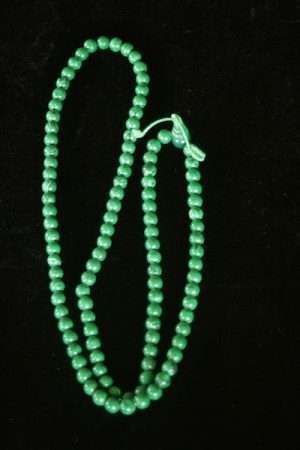 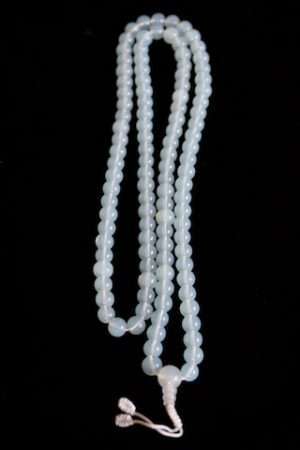 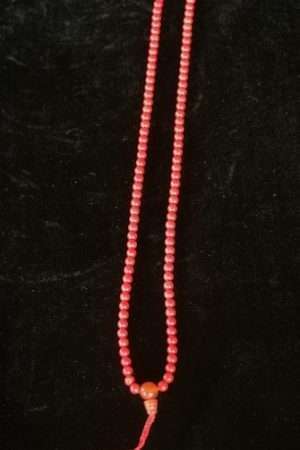 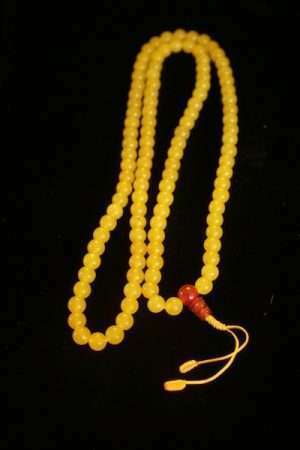 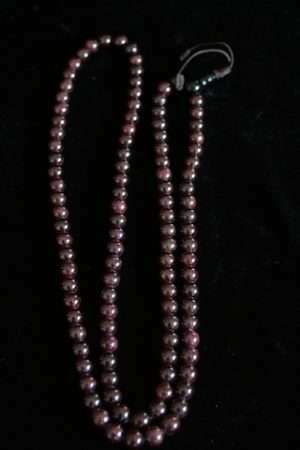 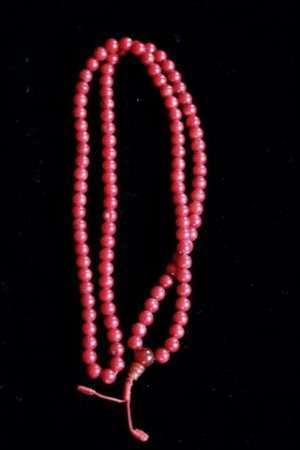 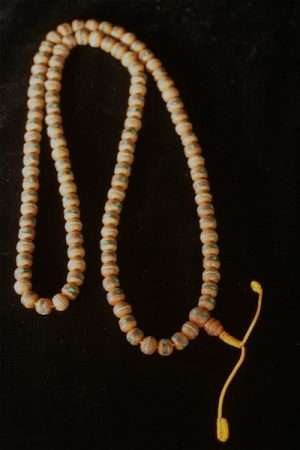 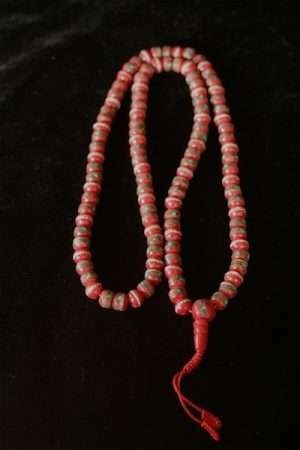 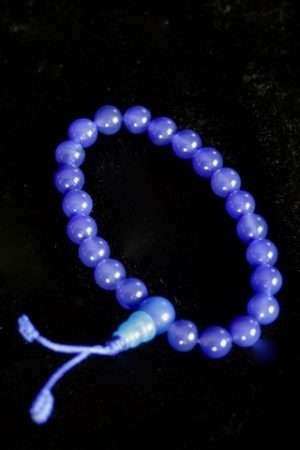 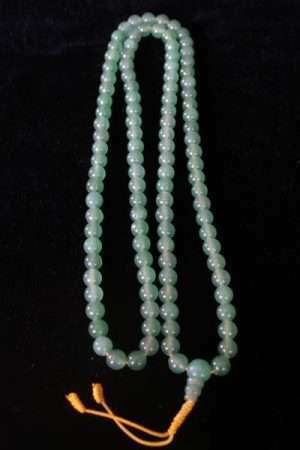 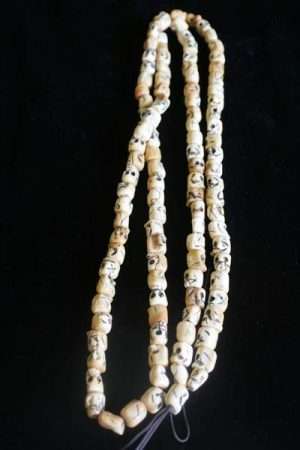 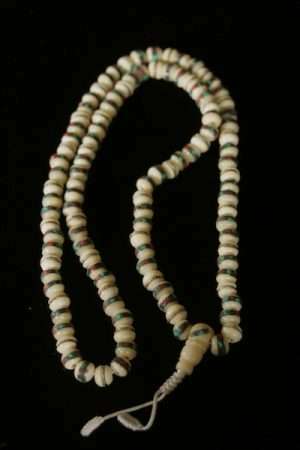 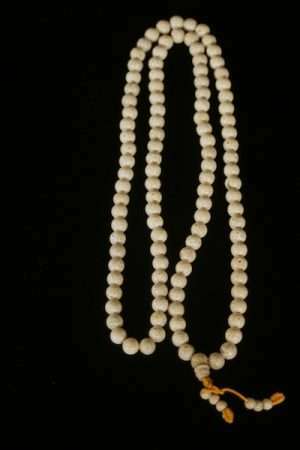 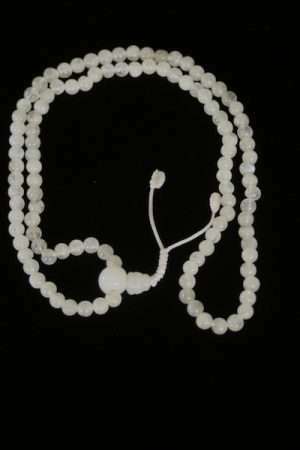 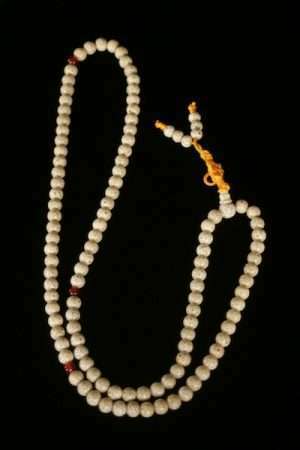 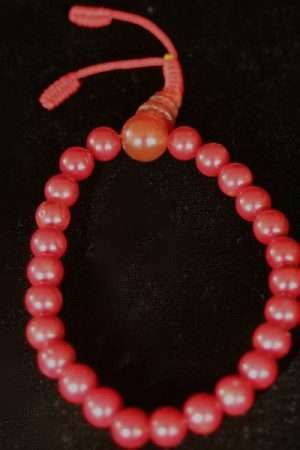 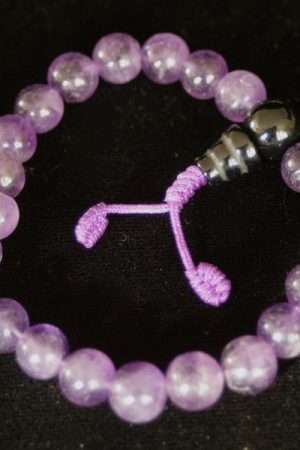 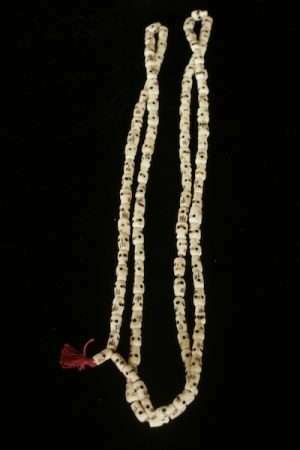 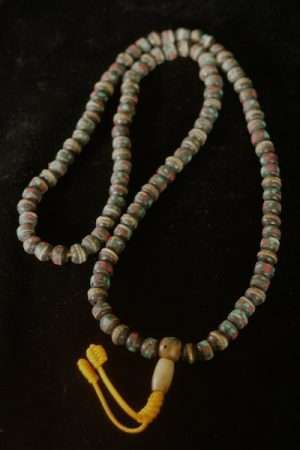 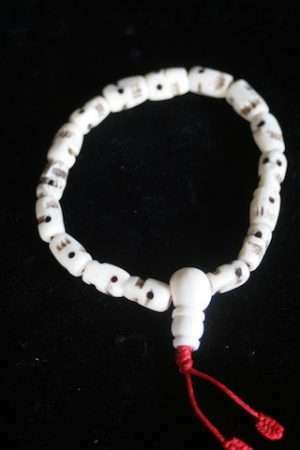 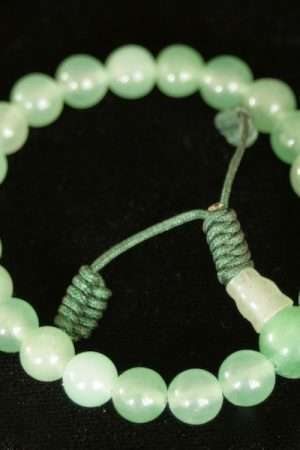 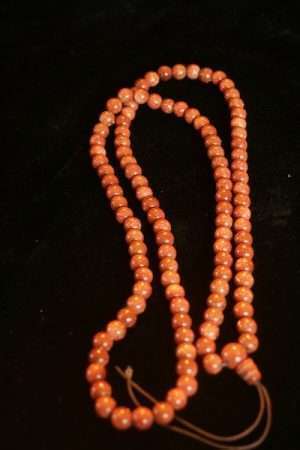 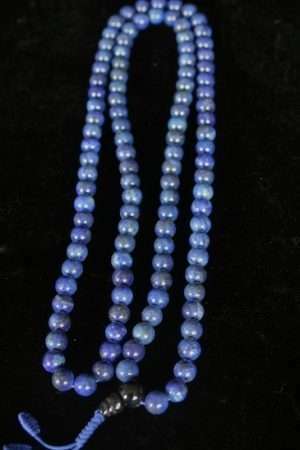 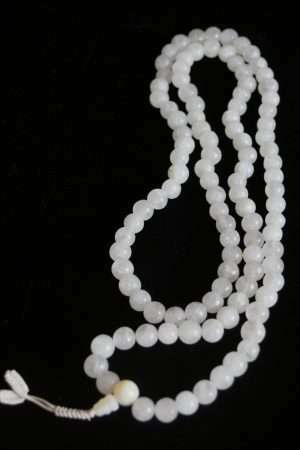 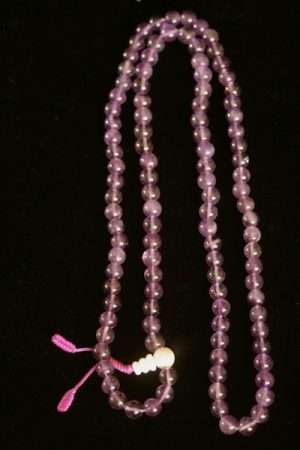 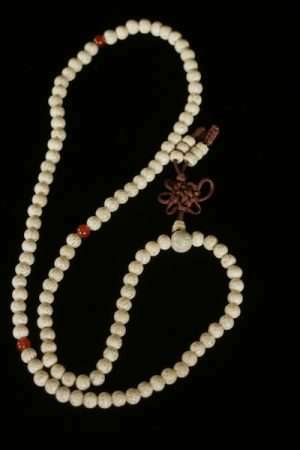 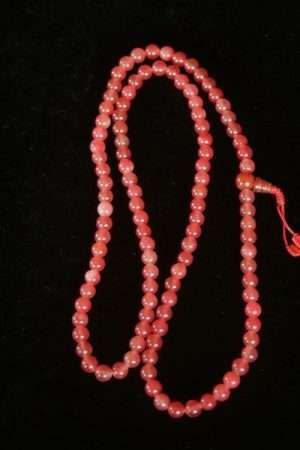 One bead is turned per recitation of mantra e.g. 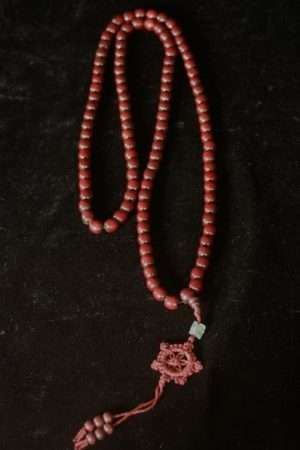 om mane padme hum. 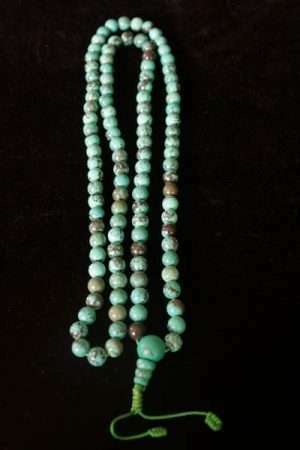 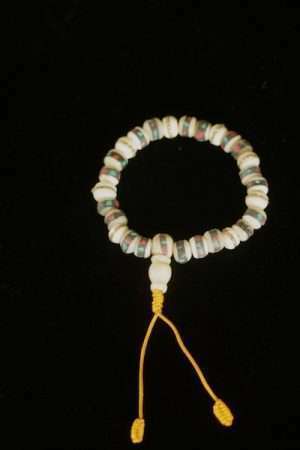 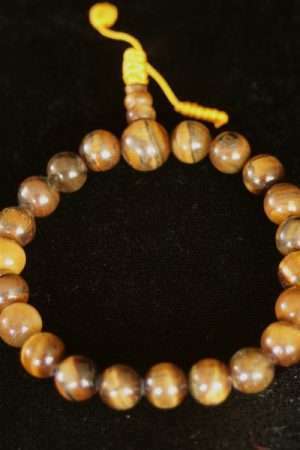 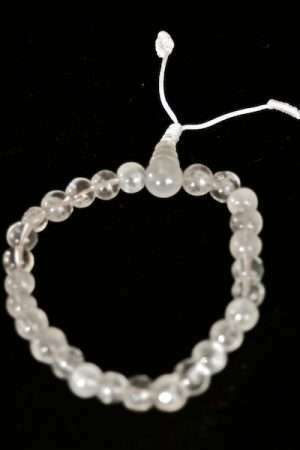 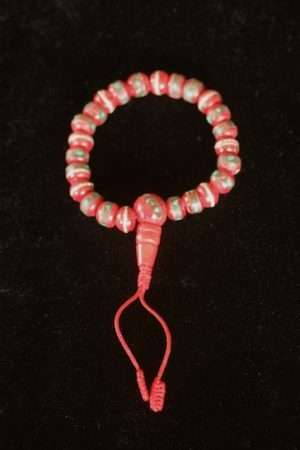 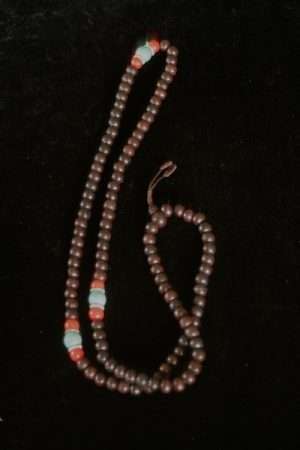 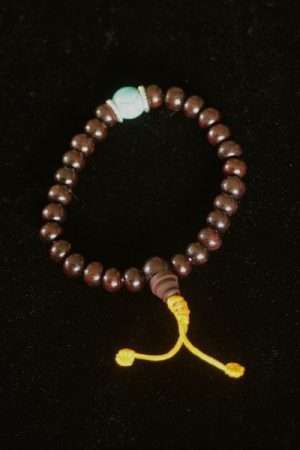 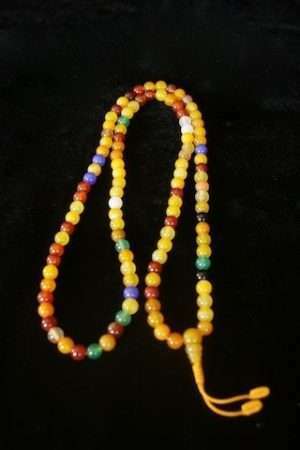 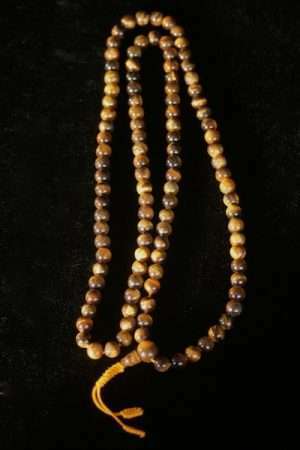 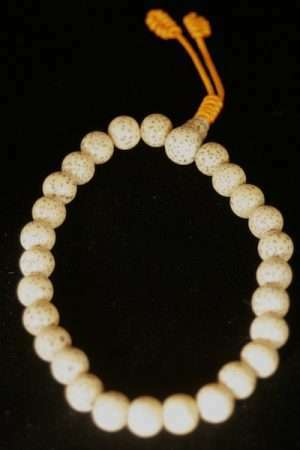 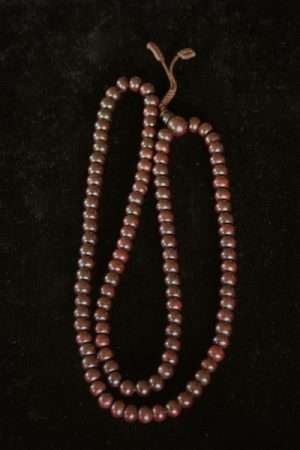 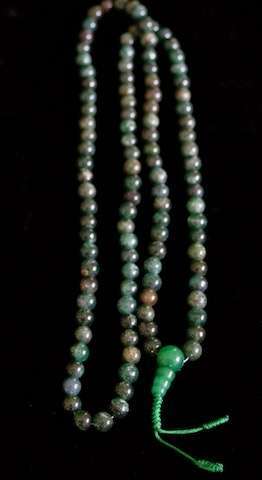 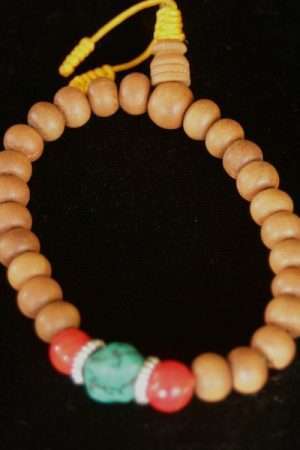 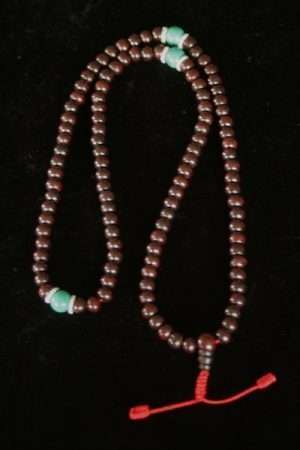 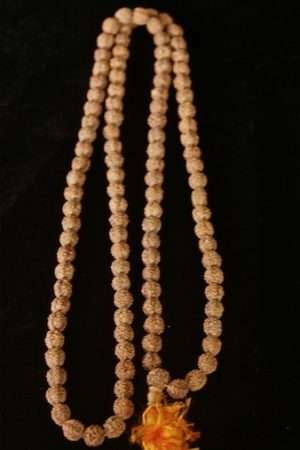 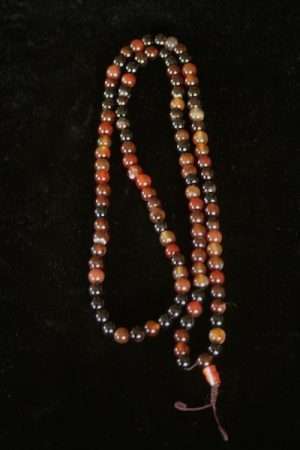 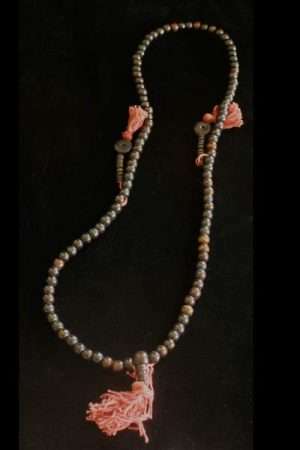 Malas are very common in Tibetan Meditation practice but used by Buddhists everywhere. 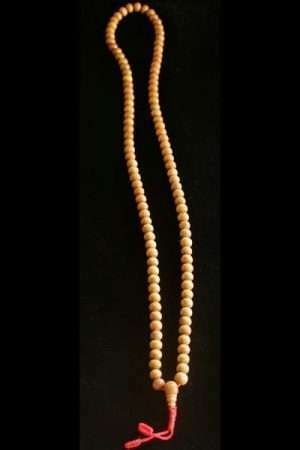 A portable and effective reminder for practice.